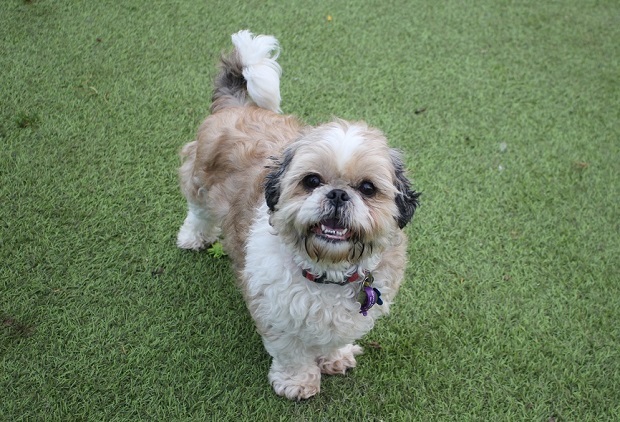 Ollie, a 9 year old Shih Tzu, is at Freshfields Animal Rescue in Liverpool. This is Ollie’s third time at Freshfields. He was originally there as a puppy, due to his owner’s long work hours. Then in 2016 he returned following the arrival of a baby and being unsettled by the change to his routine. He went to live with a lady who had another Shih Tzu, but Ollie has now been returned for showing aggression. He would snap at his owner’s feet whilst on the couch if she moved too quickly, and would also protect her from other people. Ollie is an anxious boy and it is clear that he needs a calm, quiet home where he will be the only pet, as it seems that living with another dog contributed to his stress levels and could be the reason why he was displaying the behaviour he was. He does not like cats. Despite the issues in his last home, Ollie is generally a well-behaved and friendly boy. It did not take him long to settle back at Freshfields and make friends with the staff. He is happy to be handled, picked up and groomed, and Freshfields feel that the aggression Ollie displayed was due to stress. 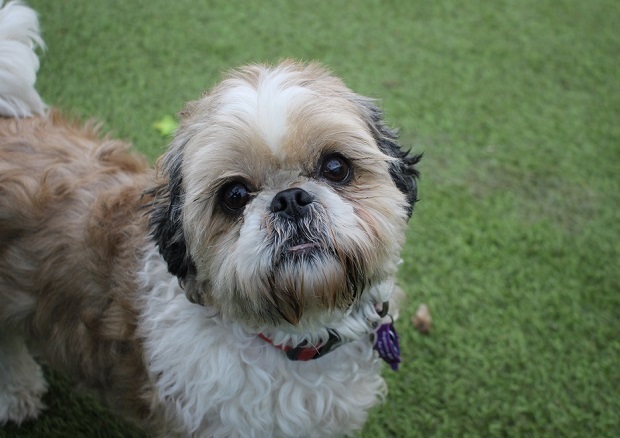 Ollie needs a child-free home, ideally with someone experienced with Shih Tzus and their occasional grumpy ways. Ollie can be vocal and will bark at the door, so he needs a home where this will not be an issue. He has had separation anxiety in the past so he needs someone around for most of the day. Ollie is in good health but will need a dental at some point. This could be carried out at the rescue if he is rehomed locally. Poor Ollie has endured so much upheaval in his life and he desperately needs consistency now. He really is a sweet boy who just needs someone to understand him. Could you be Ollie’s special someone? If you would like to adopt Ollie, you will need to make several visits to Freshfields to form a bond with him before adoption. Please mention that you saw Ollie on the Oldies Club website.